Super foods? Or Super Heroes? Food can make you feel great. You know when you have a really good meal filled with loads of yummy and nutritional goodies you get a wave of energy and a feeling that you could do anything. It’s brilliant isn’t it? Especially when you are flagging and have no energy sometimes food can be that pick me up you need. Yesterday that was what I needed, something really good for me to give me an extra boost. Just like Popeye with his spinach or Bananaman with his bananas sometimes food can even turn you into a super hero. 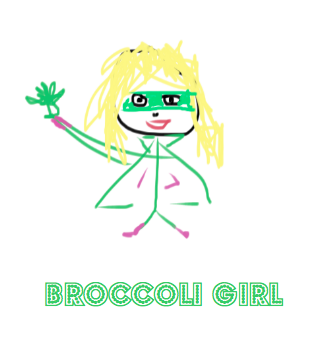 If I had to pick my superhero food … well then … I would undoubtedly be Broccoli Girl! 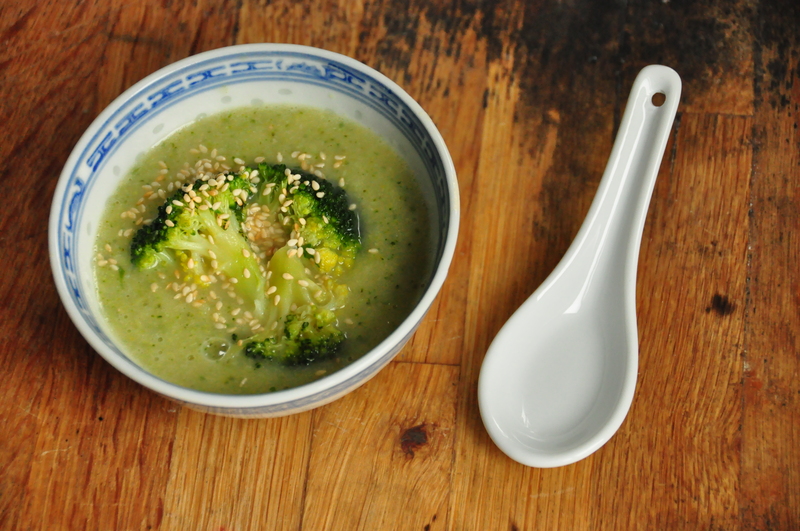 Broccoli is yummy with everything, the perfect accompaniment, a great dish addition and the best bit? You can cut it so it looks like trees and pretend you are a giant! 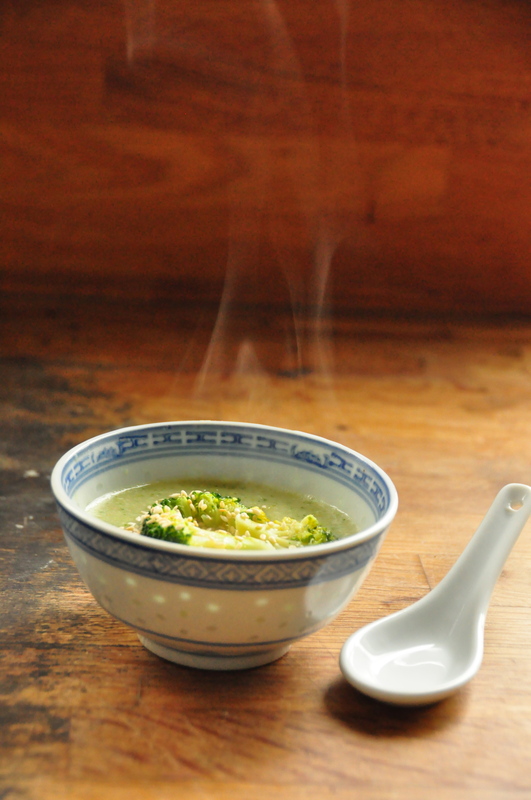 Let’s not get carried away, the point was yesterday I needed some super hero food and Broccoli was my saviour in the form of a broccoli, ginger and bean soup. Eating this felt like eating pure health, whilst also transporting me to taste bud heaven. And the best news – this can be made From Scratch in under 30mins. Take that shop bought soup! I can hear you are clamouring for the recipe so, I wont ramble on forever other than to say if you are feeling a little under the weather, or needing to have a january health kick here is your deliverance. Your welcome. Now I must fly to another galaxy to spread my Broccoli knowledge elsewhere. This entry was posted in Recipes and tagged Healthy, Suppers by lucy. Bookmark the permalink. Love you for this clean and simple recipe! I had been making steamed broccoli but let it sit way, way too long when I got a distracting phone call. Anyway, far past the point of plain eating, I found your soup and saved dinner. Thanks!